Web-based software systems that are used in the conduct of global clinical trials are transforming clinical research. These tools have been proven to streamline processes, increase efficiency, improve data quality, security and privacy while reducing costs. However, while these systems offer many advantages over the paper-based systems and processes of the past, they require something very specific in order for those benefits to be realized – the internet. The availability of wireless 3G/4G networks is pervasive in many regions around the world. However, as more and more emerging markets are requiring local population clinical trials as a condition of market authorization, the availability of reliable internet access can not be taken for granted. Investigators and site coordinators will still require the ability to record the clinical data required by the protocol and a move back to paper is not the right answer. Clinical site personnel never know where they might be or what situation may occur during a patient visit, but regardless, they need to be able to log patient data. Ennov EDC Mobile allows mobile users, such as clinical investigators or site coordinators, to input patient data into the eCRFs whether or not they are connected to the internet. A user can directly collect data “at the side of the patient”, even in areas where wireless or 3G/4G network coverage is poor or restricted. Data collected offline is automatically transmitted to the Ennov Clinical server once the device returns to the network. Offline data capture is also beneficial to Veterinarians participating in animal studies in rural areas without internet coverage. 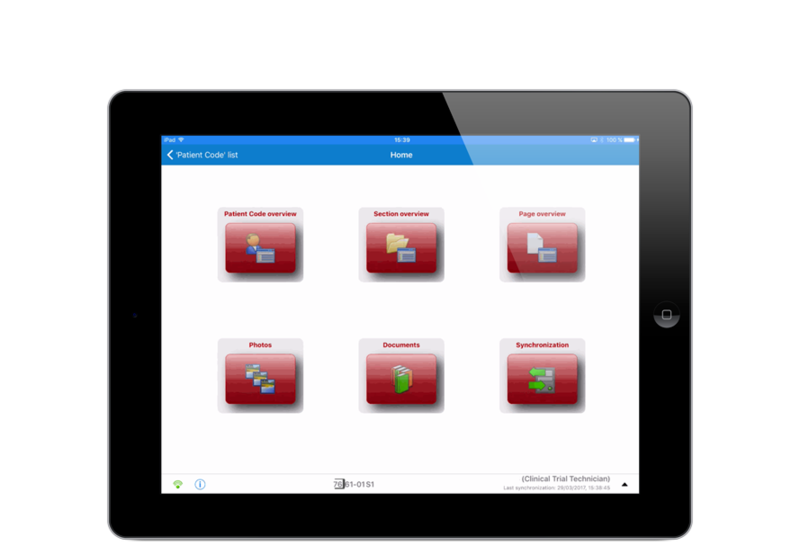 Ennov EDC Mobile solution was developed for specifically for clinical investigators and other clinical site staff and enables them to enter patient data using an Apple iPad. Creating patient visits, entering data into the eCRF and navigating the patient file are performed using the touch screen interface. The interface is simple and user-friendly. Ennov EDC Mobile can also operate the iPad’s camera and attach saved photos as a source document attached to the eCRF.